This past weekend was a very entertaining weekend for us Iowans abroad. 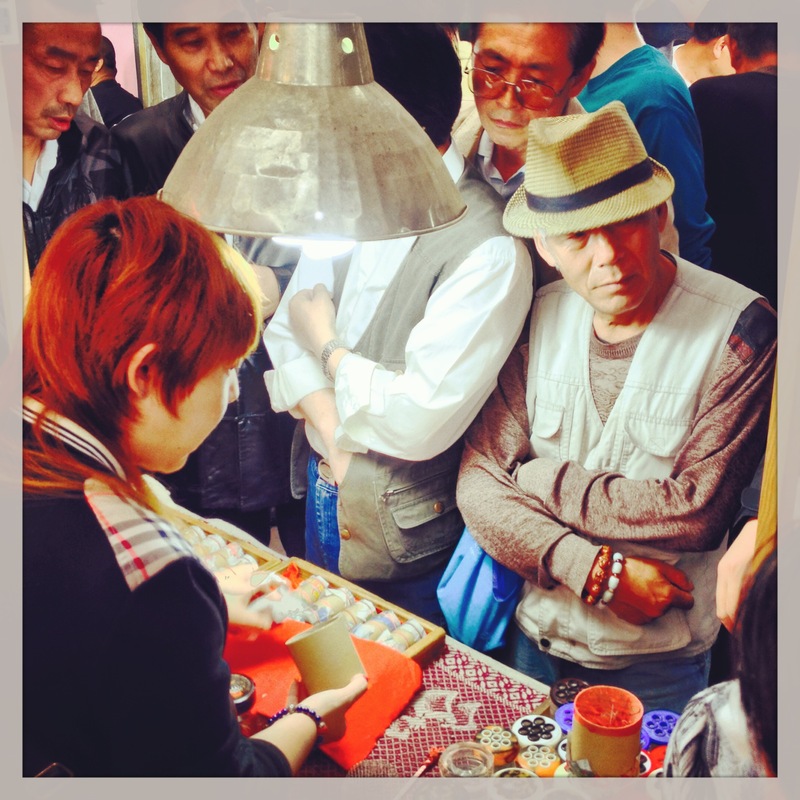 On Friday night we met a few teachers for a drink at a nearby pedestrian street called “Golden Street”. For those of you who have frequented the Iowa City ‘Pedestrian Mall’, this is a similar sort of thing. 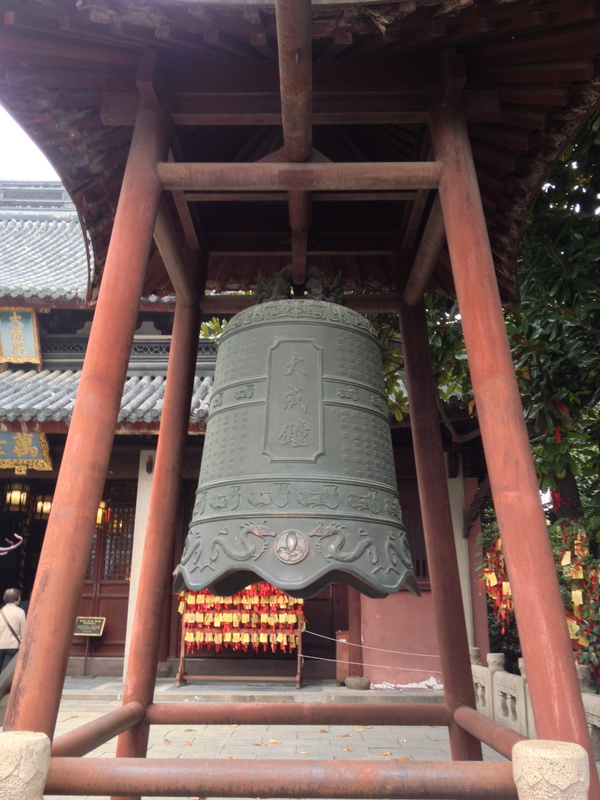 There are a number of these pedestrian streets around Shanghai, but this is the closest to our apartment. We did not stay out too late. Saturday we had to play for the musical at school. Angela is accompanying the musical on piano, which is a very important job. I am playing trombone in the pit, which is not nearly as important of a job, but also means I can screw around more in rehearsals. There are several teachers playing as well, so I have plenty of people to talk to when I should be playing. On Saturday night we celebrated a coworkers birthday by eating dinner at the Shanghai Brewery followed by a rousing session of karaoke. See below. 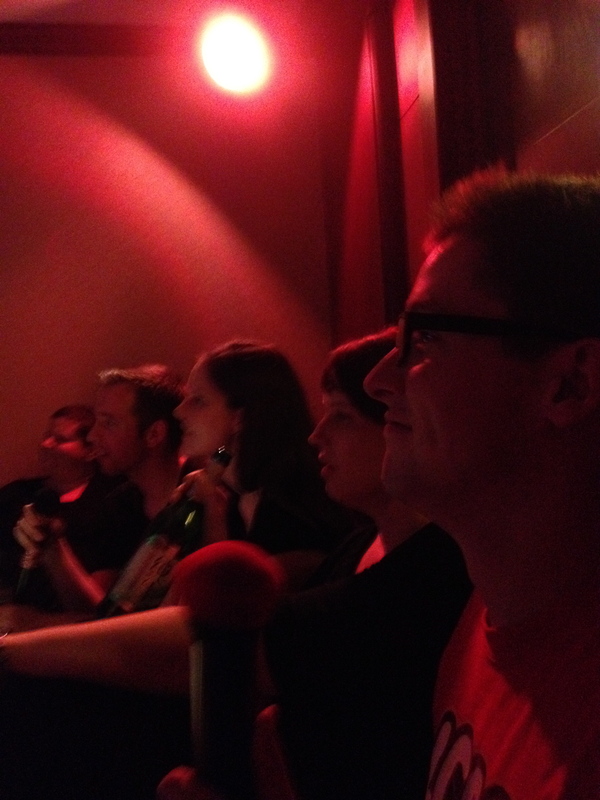 Chinese karaoke is like Japanese karaoke in that you rent a private room for all of your friends. This was especially fun, because everybody sang all of the time instead of one person singing at a time. There were two microphones and several shakers and tambourines to be passed around, so we each took turns. I had a very fun time singing karaoke. 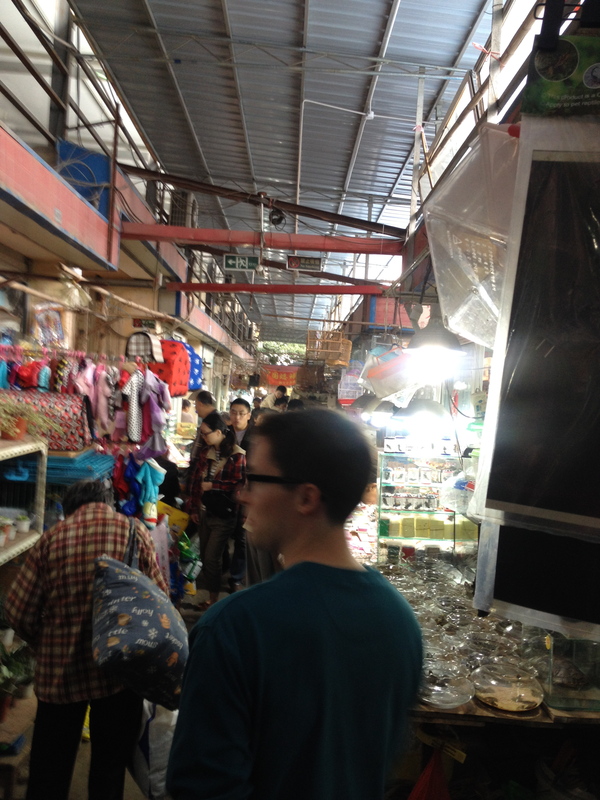 On Sunday, we visited the flower, bird, fish and insect market. Two new friends of ours from Iowa City who used to teach in Shanghai suggested that we visit, and so Angela and I finally did. They informed us that October and November were cricket fighting season. Check out this video to see what I am talking about. We were hoping to catch a cricket fight, but apparently those occur on Saturday mornings. 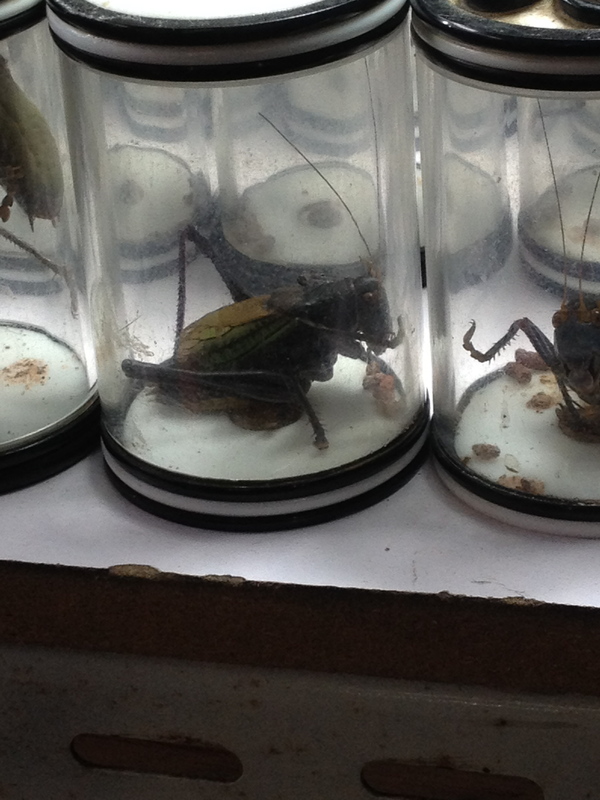 The bug market did sell every kind of cricket you can imagine, and some were huge. 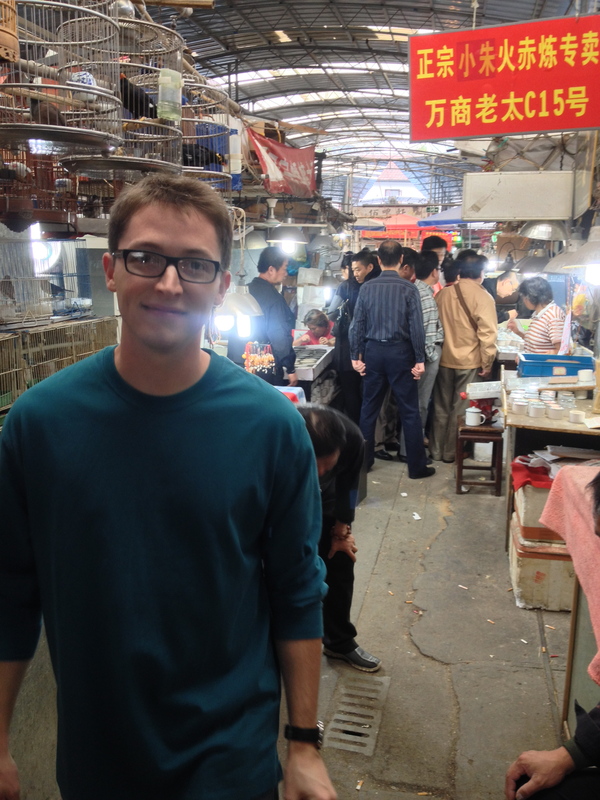 The aisles were cramped full of Chinese men and women examining animals of all sorts. 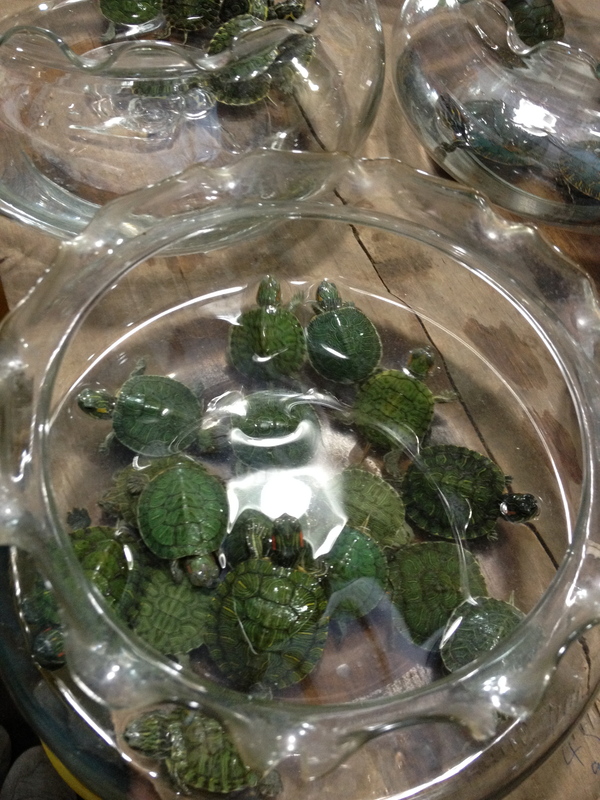 Above are some very small, very real turtles. 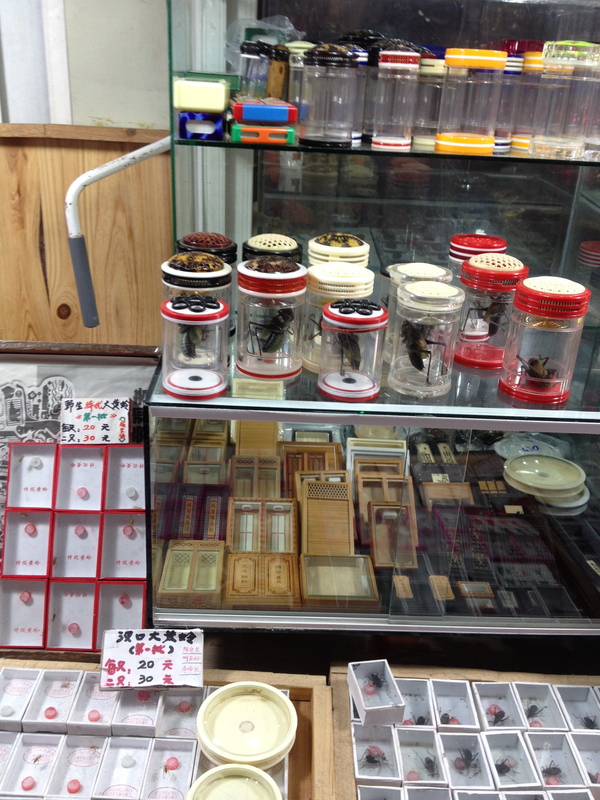 Here you can see the typical container that the largest crickets were sold in. 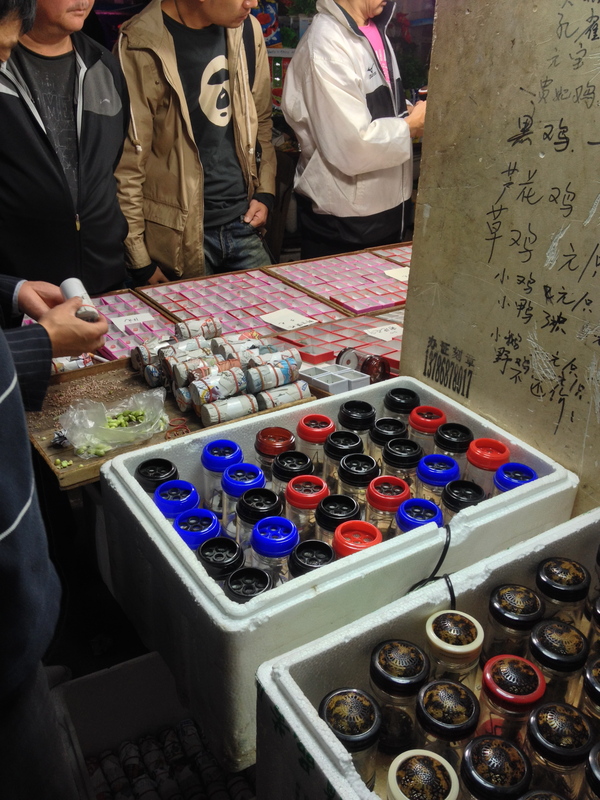 Each of the plastic cylinders had a special sort of amplifier for each cricket’s chirps. In China, cricket chirping is considered musical rather than a nuisance, and many Chinese people keep crickets as pets to hear their song. And also to fight them. 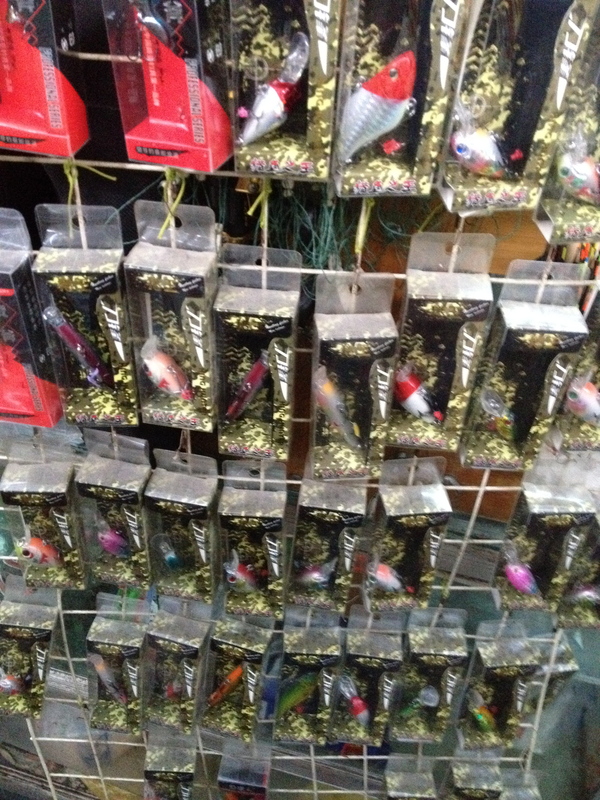 We also found some fishing tackle, pictured above. 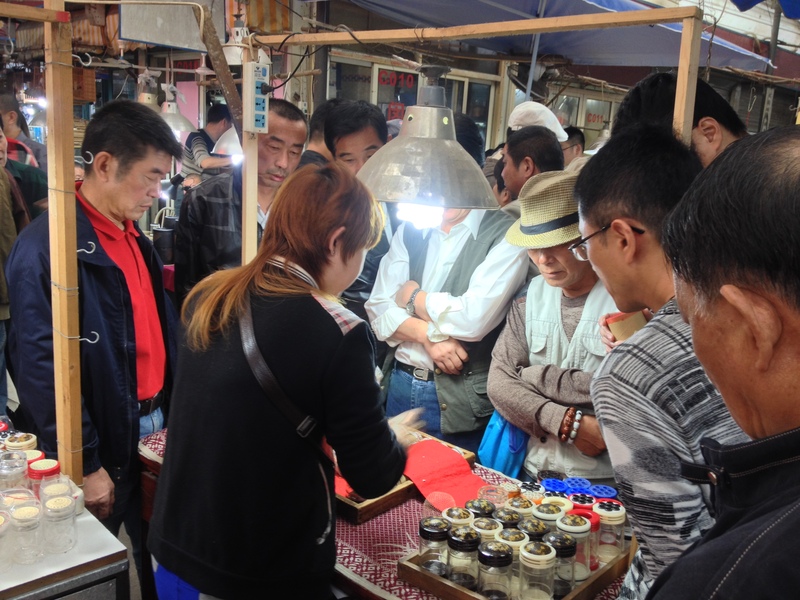 Above are some Chinese men examining different crickets. 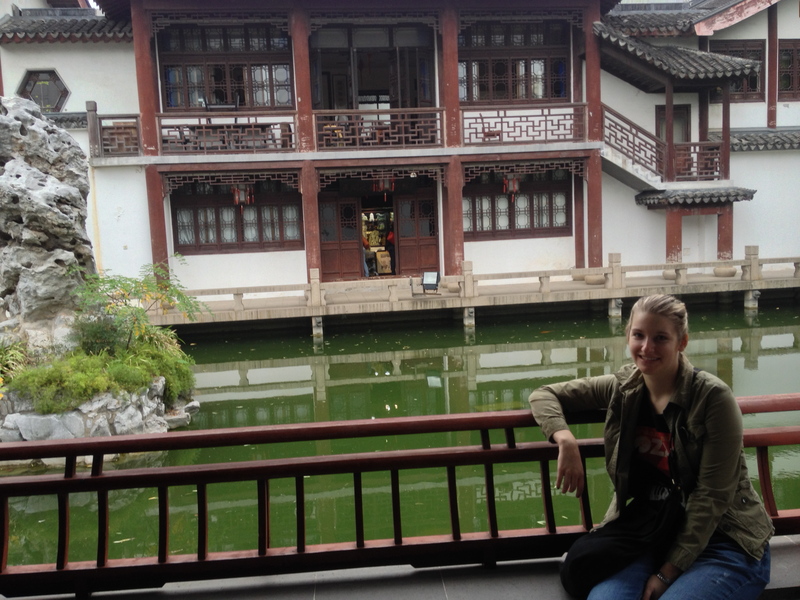 After visiting the bug market, Angela and I stopped at the Confucius Temple. 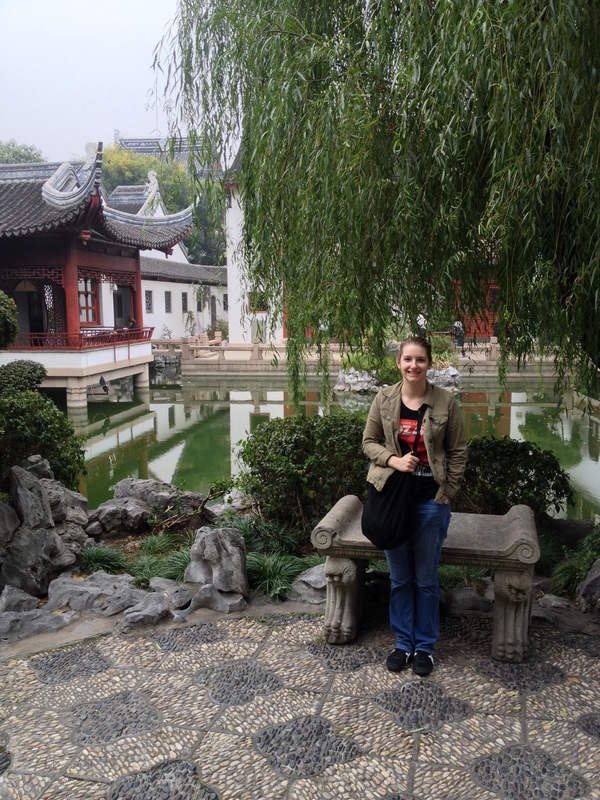 I was so exhausted that I did not soak very much in from the temple this time, but I was pleased by how quiet it was. 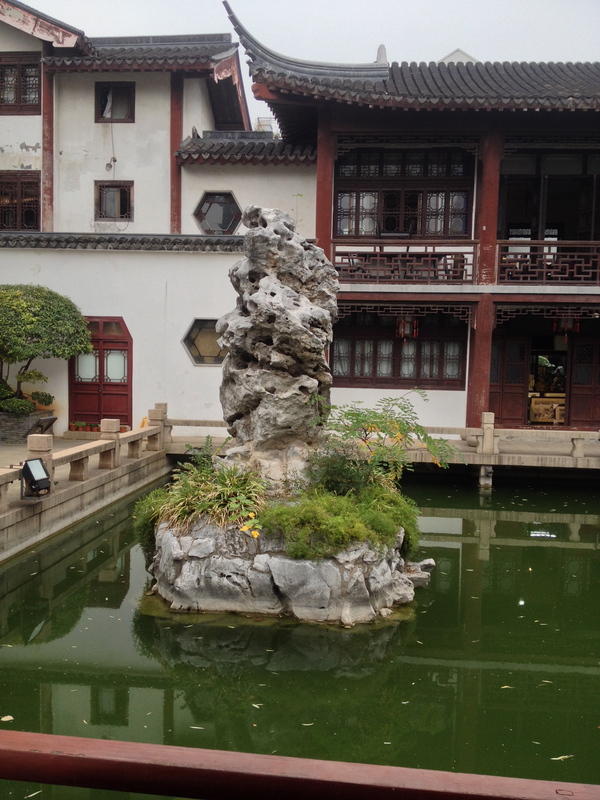 Very few people were in the temple, and so it was a serene place to spend a few moments. 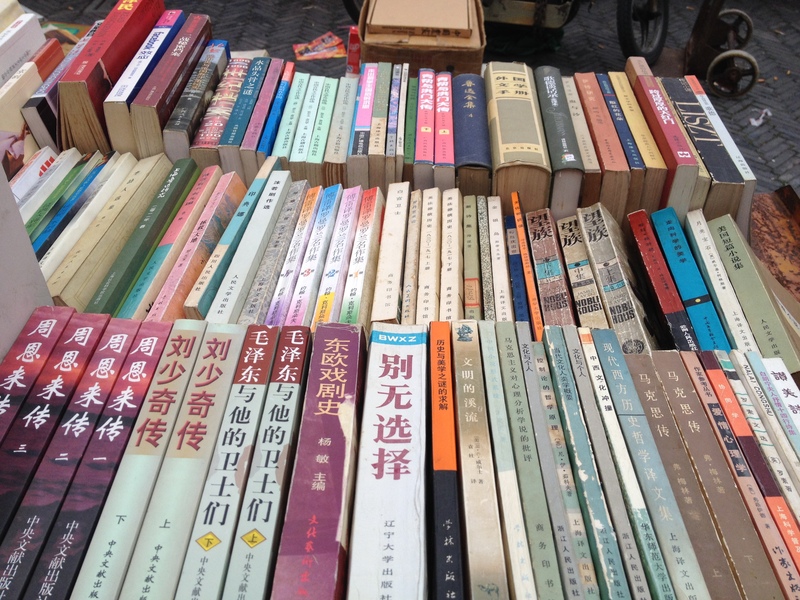 On Sundays the Confucius Temple also hosts a secondhand book market. 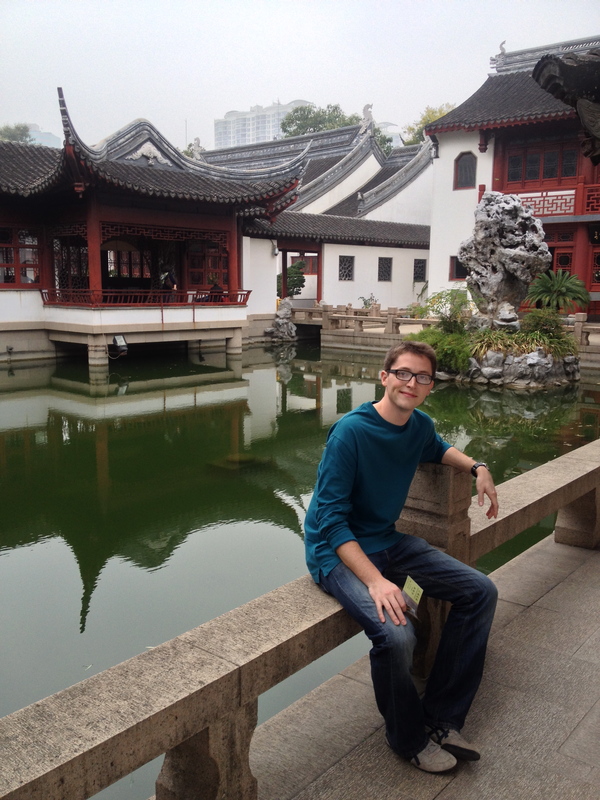 All of the books were in Chinese, but it was neat to witness nonetheless. 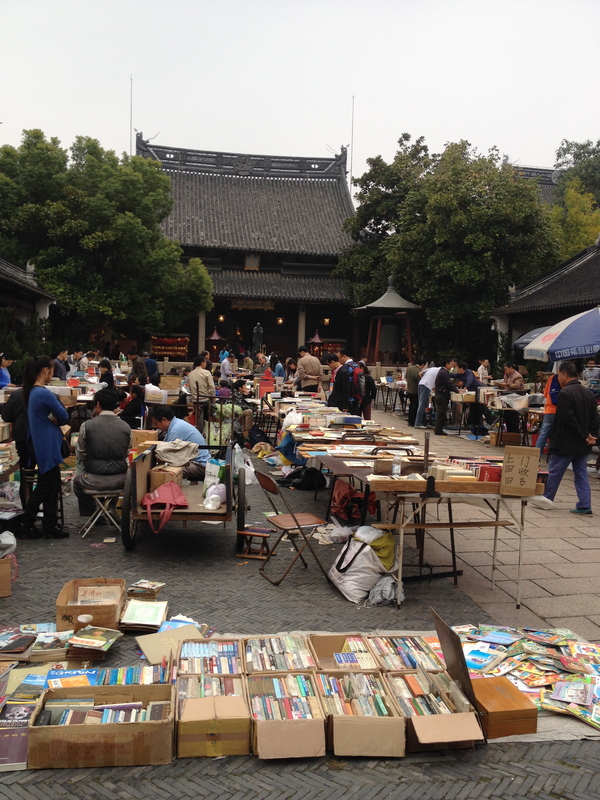 The secondhand book market (pictured above) was held in the main courtyard of the temple. Tomorrow is Thursday, and Angela and I are excited for a relaxing weekend. I play with a community jazz band that I am enjoying very much, and from that connection I was hired to play the 1812 Overture with a local community orchestra. I get to do that this weekend, along with a musical rehearsal, game night at a friends house, and a possible ultimate frisbee game with some friends. Life is good. 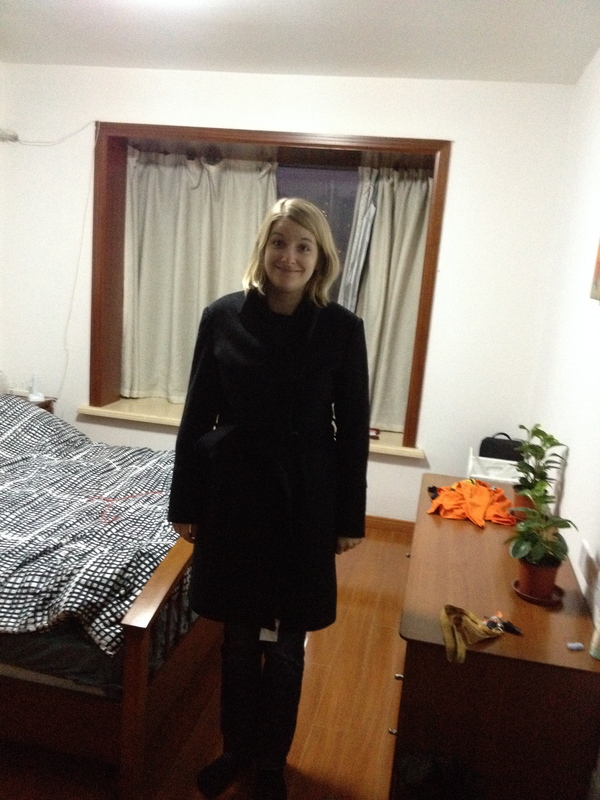 Oh yeah, and see below for a coat Angela just had made at the nearby fabric market. For cheap! See how excited she is? All for now. Those crickets look really big Jas. Love to see your adventures. Keem em’ coming.